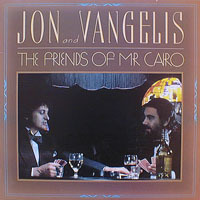 T his is closer to what fans expected: Vangelis' evocative arrangements channeled into actual songs with Jon Anderson's heartfelt vocals on top. 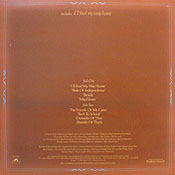 The album contains some of their most enduring music together, including "I'll Find My Way Home" (a suprisingly effective cross between the old standard "Downtown" and the theme from Chariots of Fire), "State of Independence" and "The Friends of Mr. Cairo." 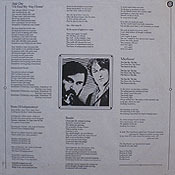 Although the latter didn't chart, it did garner significant airplay in the US, largely due to the novelty of voice characterizations provided by David Coker and Sally Grace. 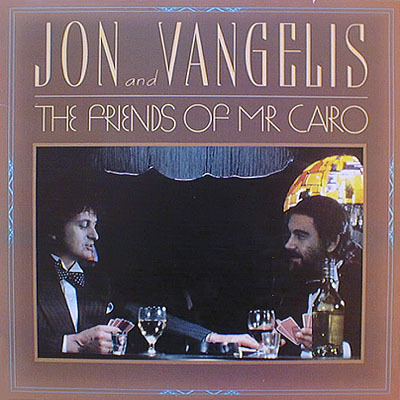 Their impersonations of all manner of B&W film stars is a departure from the standard Jon & Vangelis formula, but it remains perhaps the most memorable song of their joint venture. "Mayflower," which combines the pilgrim crossing with space voyage, also utilizes the talents of Mr. Coker. True, some of the instrumentation sounds dated today (notably the electronic percussion) and the second side doesn't stand up nearly as well as the first, but altogether it's a more pleasing affair than their amorphous debut.